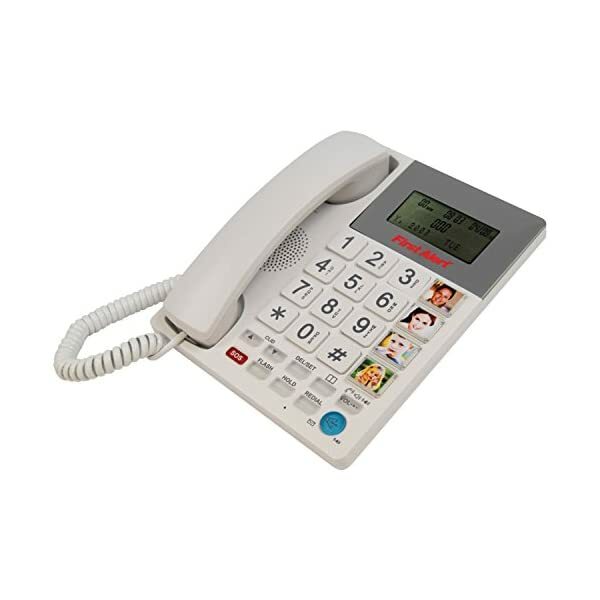 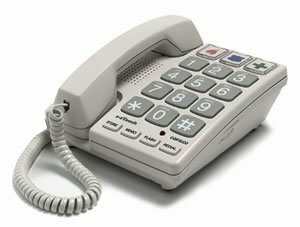 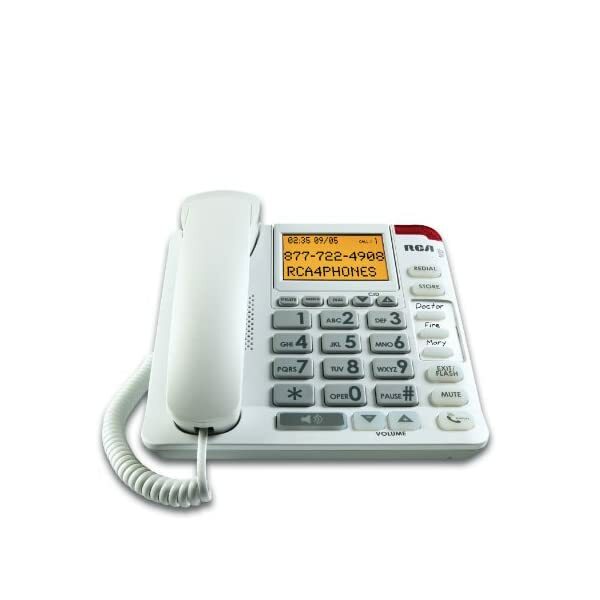 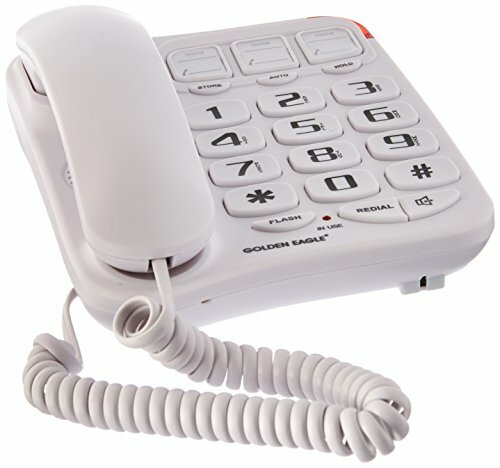 RCA 1124-1 Amplified Big Button Corded Phone with Caller ID features Amplified Volume – Up To 40dB, with Handset Volume Control, Enhanced Visual Ringer, Audio Tone Adjustment, Base Speakerphone with Volume Control. 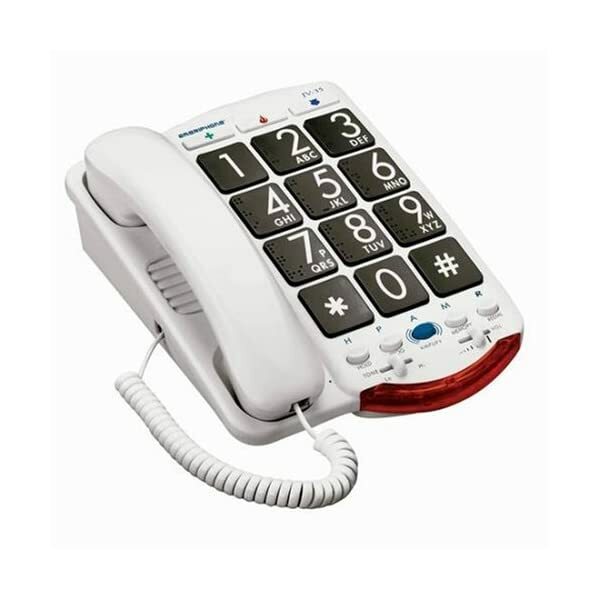 Features 3 One-Touch Memory Buttons, Large Keypad Buttons, Tone Feedback While Dialing, Large Adjustable Tilt Display w/Backlight and Redial and Flash Function. 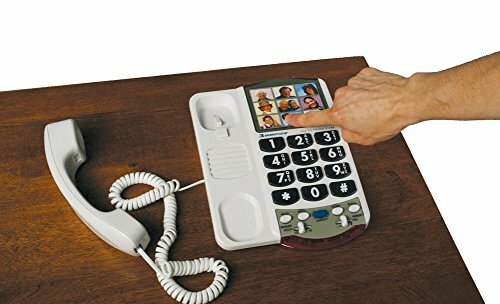 Phone is desk or wall mountable, and is hearing aid compatible.